Black boxes are on board information recorders that are capable of capturing operational data through a truck's electronic network. A black box has the ability to record data from an accident that can lead to a wealth of information as to how the truck accident occurred, such as the condition of the truck after the impact. We have had many truck accident cases where the only source of the key evidence that won the case for us was in the black box. This information is typically recorded in the event of a hard brake application by the truck's driver. Additionally, some trucks now are equipped with GPS tracking systems that monitor the speed and position of the truck as it travels its route. This GPS data, like the ECM (engine control module) data, can show the speed of the truck and give information as to the braking of the truck before and after an impact. In other words, this information can show what the truck driver did to try to avoid an accident. 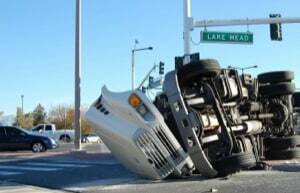 Are most of these things relevant in a truck accident? No. But in a specific case, any one of these can be the key that makes or breaks the claim. Because the black box's data storage ability is rather limited, the old data usually rewrites over the new data in a loop. Some trucks have loops as short as 10 minutes. On these trucks, if an accident does not occur, the old data is erased and replaced with new data. So data should be extracted from the ECM as soon as possible after the crash to preserve the evidence. Do our lawyers know how to download this data? No. But we work with truck accident reconstruction experts who do this for us on a regular basis. Maryland Rule 2-422 and Federal Rule 34(a) allows the Plaintiff's attorney to perform an inspection of truck and to observe the download of, and extraction of the data from the black box and obtain copies of documents. Plaintiffs' counsel needs to make sure after the accident that anyone who has custody of the truck does not move or try to repair the truck, remove the truck's black box, or retrieve or attempt to retrieve the information on the box. Instead, the parties should either agree (or you should seek a temporary restraining order from the court) to a joint inspection of the vehicle so that the black box data can be recovered with all parties of interest present. Christoffersen v. Malhi: This Arizona case in 2017 stands for the proposition that it does not matter whether the trucking company destroys the records or not. A spoilation instruction is warranted if the company should have known of the possibility of litigation. Daniels v. United States Georgia federal court in 2015 underscores the need to preserve evidence if you if do not have possession of the vehicle. White v. Rasner: Wisconsin court in 2015 affirms $5,000 sanction and spoliation instruction, finding that trucking companies have a responsibility to preserve evidence that might provide evidence in an accident case). Anyone handling a truck crash should also know that some commercial insurance policies contain language that gives the insurance company the right to retrieve the black box data. If the vehicle has been destroyed or the black box data has been erased after the wreck, you should still request the information because either the company or the insurance company may have preserved the data after the accident. If you do not ask for the information, the trucking company and their insurance company has no obligation to provide it. Another good thing for plaintiffs' lawyers to remember is that we are not just talking about black boxes to record key data today. Some cars have their own data collection devices that record the status of the vehicle systems, such as airbag deployment and other important data coming from the vehicle (like GM's OnStar). Cell phone apps now how tracking data. FitBit and other fitness trackers might also provide key information to your case. You need every weapon you can to put your case in the best position to win.